Several reports from the popular news websites had suggested that WhatsApp, the widely popular messaging application, is working on a new version of its instant messaging client, called WhatsApp PLUS, in order to provide its users a lot of handy new features. However the news seems to be completely fake!! WhatsApp Plus has already been launched a long ago and is not at all genuine as it is not associated with the Facebook-owned WhatsApp. 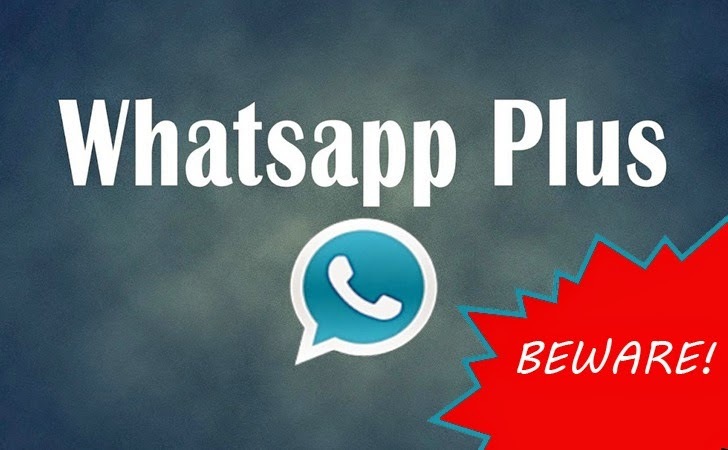 Many users claimed to have already used WhatsApp Plus before. The latest news reports insist that WhatsApp Plus will bring 700 new themes and more number of emoticons, as well as will provide users with an option to change the font, and color among other things in an attempt to make the app look and feel more personalized. Moreover, the app will provide better privacy compared to the existing one. But, here you need to have a second thought. If we talk about better privacy, the only genuine report about WhatsApp came late last year, when WhatsApp partnered with Open Whisper Systems, a collaborative open source project to offer end-to-end encryption in its Android client. But, that was also with the same label, WhatsApp. The domain of WhatsApp Plus wasn't registered by WhatsApp, Inc, according to the Whois information of the alleged Whatsapp website. In order to find links to shady websites, BGR reports that they decompiled the WhatsApp Plus APK file circulating around the web, which revealed that the "app is communicating with illegitimate sources." Beware those who find the app genuine and interesting to download. There are many fake and malicious messaging apps that trick users to download and install, what could potentially be a malware. WhatsApp Plus is also not a genuine, but an effort by unauthorised websites to trick people into downloading it. We will strongly advise people to not download WhatsApp Plus, or any app that claims to be a new rather different version of WhatsApp. It has been confirmed that WhatsApp hasn’t launched any such app. The app could be a malware that can trouble your phone and downloading an alternative, would be laying your privacy and security at risk.